eng : Derek Blasberg selects the 10 chicest looks of the week. Mr Blasber is an American fashion writer, editor and New York Times bestselling author. He is the Editor-at-Large of Harper’s Bazaar and Vmagazine and VMAN, publications for women and men, respectively. 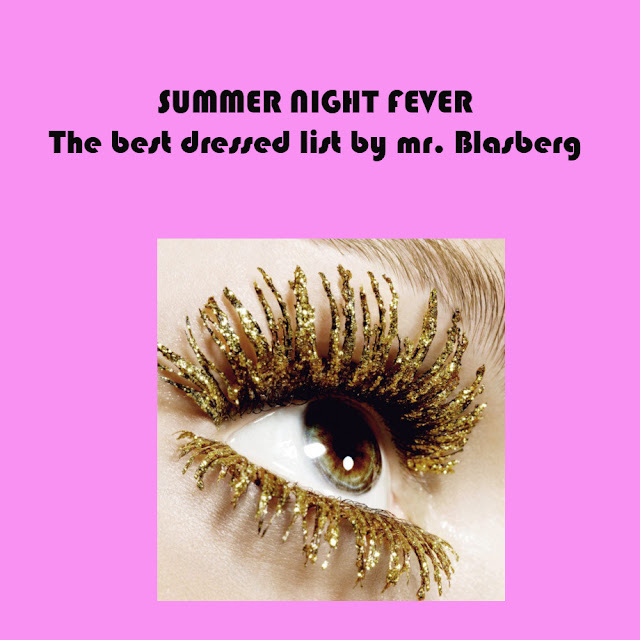 He is also the founder of the website www.MrBlasberg.com, which documents his social observations, fashion reporting, best-dressed lists and international travel. As a fashion editor, Blasberg has collaborated with some of the industry’s most iconic image-makers, including Karl Lagerfeld, David Bailey, and Marilyn Minter. Blasberg has also served as a consultant on creative projects for a long list of fashion brands, including Louis Vuitton, Chanel, H+M, Fendi, Carolina Herrera, MAC, Tiffany’s, and Theyskens' Theory. In 2011 Blasberg was featured alongside friend Alexa Chung on the competitive reality TV show 24-Hour Catwalk; he has appeared as a fashion expert on The Today Show and the Nate Berkus Show; and in a series of short films with Harper’s Bazaar, he has interviewed fashion luminaries like Marc Jacobs, Naomi Campbell, Karlie Kloss, Lou Doillon, and Carine Roitfeld. In 2012 Blasberg debuted a humorous fill-in-the-blank and multiple-choice stationery collaboration with the retailer Opening Ceremony, called Derek Blasberg for Opening Ceremony.